I made a mistake of switching the HD with an SSD too soon on my ASUS X555LN (preinstalled with Windows 8.1), I actually forgot to make an image backup of the OS partition. Worse, I didn’t want to go through another episode of opening the laptop since it was one heck of a job and the unit’s still brand new. So here’s a hack I did to install a clean Windows 8.1 OS with the product key and of course activated. Attach the original HDD via USB. This now acts as an external drive, don’t boot to this hard disk it won’t work. Important, run produkey as Administrator, otherwise the software won’t be able to see the key on the external drive. Produkey will provide the product key (make sure to save this) and the Windows OS installed on the HDD. Mine was Windows 8.1 64bit single language. Download the correct Windows iso and create a bootable usb drive from it. You can do it manually or just use Rufus to save time. Install Windows with your key. 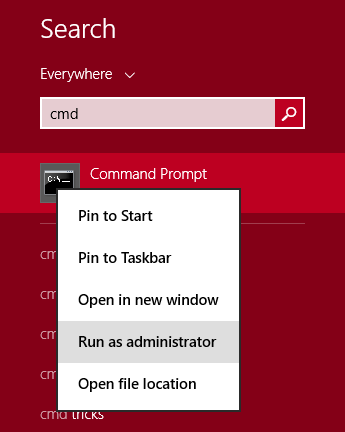 Boot and run CMD as Administrator. Then run this command slmgr -upk, you should get an “Uninstalled product key successfully” message. Reboot and done. Product key restored and Windows is activated. PLEASE NOTE, I have no idea on the legal implications of doing it this way but the bottom line is, I have a legal product key and used it only on the same computer where it’s intended. Moreover, this will likely work only on systems that came preinstalled with a Windows operating system. As usual, there are no guarantees in life, follow instructions at your own risk. hi jeedo can i have a contact with you, if its alright tho? just want to ask thing how to clean install windows 8.1 before we have the windows 10..
im trying to look for a guide doing this thing, and i saw your blog. hope you make a guide here hehe thanks! does changing to ssd from hd affects you in making a windows 8.1 image? I have a customer’s PC here. It came with Windows 8. He bought two 4GB sticks of RAM and a new SSD drive for it. It had an older SATA 3.0Gbp/s drive in there. I install Windows 8.1 and Windows setup successfully pulls the product key from the BIOS. During the 8.1 installation, I’m asked if I want to upgrade to 10. He does want the update, so I say yes. 10 installs and I go through updating it and install the programs. However, when I check the activation status, it shows the PC is not activated. I call Microsoft, per the instructions, they tell me to run slui 03 and manually type the product key. I manually extract the product key from the BIOS using RW Everything. I try to manually enter the product key but it says it’s being used on another machine. I’m thinking too much hardware changed (although a hard drive and RAM shouldn’t trigger this, if you ask me). I put the old hard drive in and try running slmgr.vbs but it complains about Windows being a non-core edition (it’s an OEM edition of 8 that came with the PC). Even the installation media I’m using is an OEM version of 8.1. Do you have any suggestions on how I can get Windows to accept the product key in the BIOS with the new SSD drive and RAM? Any suggestions are greatly welcomed. Thank you. Changing the motherboard or the CPU would almost certainly cause the re-activation stuff, but changing the RAM or graphics card, not so much. Changing just the hard drive is fine, but changing the hard drive and the RAM put me over the limit. I put the old RAM back in, installed 8.1 on the new solid state, Windows activated. Then I put the new RAM in. It’s still activated. I’m now putting 10 in for the customer. Thanks! I’m glad you figured it out. Appreciate the tip as well, hopefully some of our readers will find this helpful.